Gobi Bath CollectionGobi Bath Collection, Black alt="Gobi Bath Collection, Black"
Print We believe that a good towel is one of life’s little luxuries. 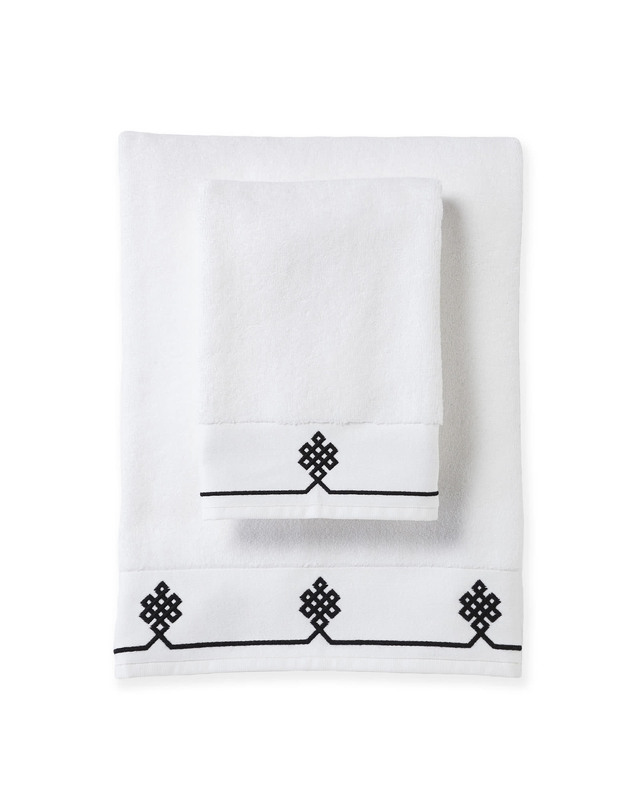 Lofty, absorbent and quick to dry, these towels are one of the best around. Expertly engineered, they won’t fade, fray or wear out. An embroidered motif (borrowed from one of our best-selling sheets) adds a pretty design detail to a pure white ground. 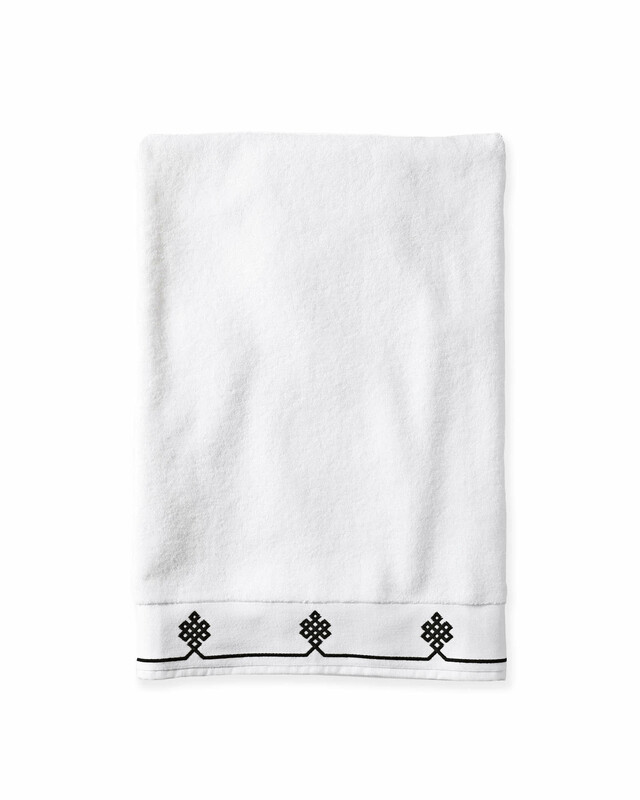 Hand Towel: 20 x 30"
Bath Sheet: 39 x 71"
We want you to be thrilled with your purchase. If you have questions about shipping, delivery or returns, please call our Customer Care team at 866.597.2742 or email us at customercare@serenaandlily.com.